With membership you will receive the highly respected Chicago Art Deco Magazine, published bi-annually. 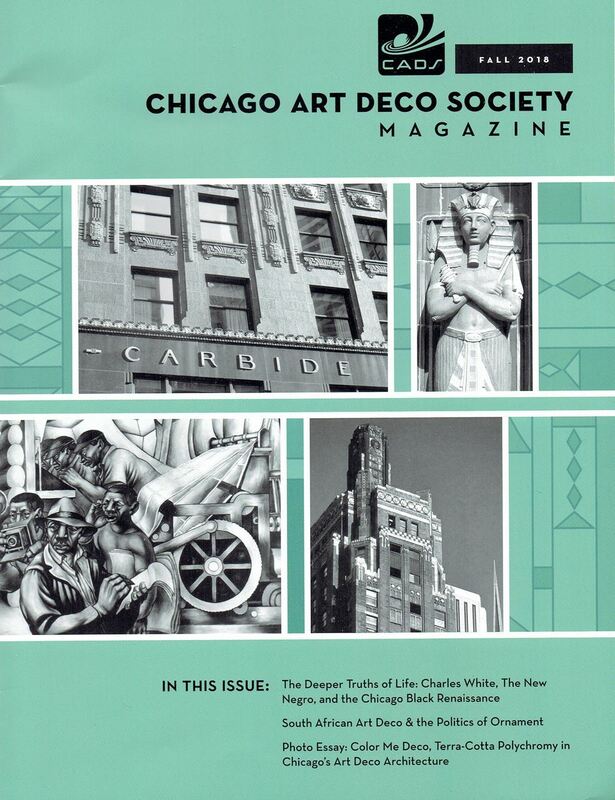 Richly illustrated and loaded with topical articles, special features and a calendar of international art deco events & book reviews, the biannual publication has become a highly collectible and recognized part of The Chicago Art Deco Society. To purchase current or past issues of the magazine please download our digital CATALOG and ORDER FORM.